I came to know the Lord at a very young age. I started reading a Bible I found one day and couldn’t get enough. I read stories about prophets, giants, kings, and the Savior. Early on in my reading, even in my young mind and spirit, I noticed a clear pattern. The God of the Bible had a people. His people have their beginning from a promise He made to Abraham. He gave His servant Moses the Law they were to live by at Sinai. He picked a shepherd boy to be a king and his son to build His holy temple. Over the centuries, God’s prophets exhorted, warned, and lamented for their nation and people. Ultimately from this people, just as prophesied by Jewish prophets centuries earlier, would come the Savior of all humanity. This obvious pattern was woven throughout the Bible. Even as a boy it was clear that God has a very special purpose for the nation of Israel and the Jewish people. 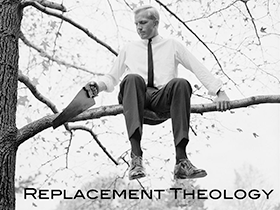 In light of that biblical truth, let’s explore the growing tide of replacement theology that has crept into evangelicalism as we focus on the replacements, Israel, and Bible prophecy. Replacement theology (supersessionism) is the teaching that the church has replaced Israel in God’s plan. Certain Bible prophesies and promises clearly pertaining to Israel are re-routed and transferred to the church in what becomes a skewed hermeneutic approach to God’s dealings with Israel. Oftentimes, the promises meant for Israel get spiritualized and explained away as pertaining to the church now. 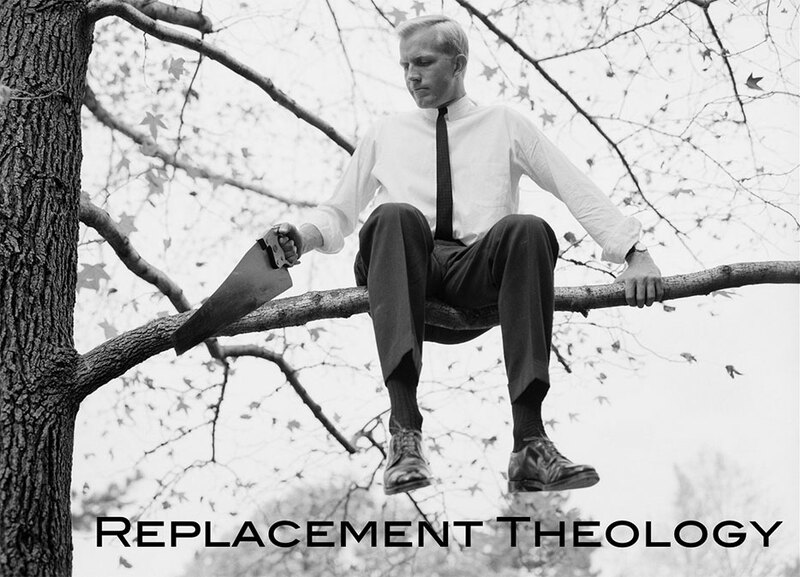 With that brief definition of replacement theology in mind let’s continue. When you examine verses referring to the church and Israel in their proper context, you will have a sound biblical understanding that God has different and distinct plans for both. We have been in the church age from it’s birth in Acts chapter two until now. During this time, God has primarily focussed on the gentile nations and built His church over the last two thousand years. Once the church is caught up to be with the Lord, His divine plans for Israel will commence in their entirety. I say His plans for Israel will entirely commence because it should be clear to any believer who employs sound exegesis that Bible prophecy is being fulfilled. You cannot take one verse of scripture, isolate it and come up with your own interpretation. In short, you cannot take promises that were clearly meant for Israel and plug the church into those verses. Isaiah 66:8 Who has heard such a thing? Who has seen such things? Shall a land be born in one day? Shall a nation be brought forth in one moment? For as soon as Zion was in labor she brought forth her children. Both of these beautiful sections of scripture pertain to Israel. In Isaiah we see the miraculous re-birth of Israel against all odds. In the passage from Ezekiel we see Israel’s rightful place during the millennial reign of Christ from Jerusalem. First is the factor of your eschatological footing. Are you premillennial, postmillennial, or do you hold a preterism view. The premillennial view of Bible prophecy is the one this ministry adheres to. We believe in the physical and literal return of Jesus and then the beginning of His thousand year reign here on earth. Postmillennialism is a belief that Jesus will return at the end of the prophesied millennium. Preterism teaches that the sum of biblical end time prophecies took place in A.D. 70. This is simply erroneous teaching because there has never been 1,000 years of peace in the world among many other inconsistencies with this belief. The bottom line is this: If you don’t believe in a literal return of Jesus followed by His 1,000 year reign, how can you make sense of anything else as it pertains to end time prophecy. Second is the factor regarding your view of Israel’s place in God’s prophetic plan. As I mentioned earlier, even as a young boy, I read my Bible and could see God has a separate and distinct plan for Israel. This is evident from His covenant with Abraham and we read that Israel will not be cast off but delivered in Romans 11. If you read Romans 9, 10, and 11 you will see God dealing with both Israel and the church distinctly. Israel (hasn’t) stumbled in order to fall and be no more. Paul says, “Rather through their trespass salvation has come to the Gentiles.” You can see that the Lord has grafted the church, wild olive shoots into the others. We are not to be arrogant regarding the Jews. Yes branches were broken off due to unbelief, but God has the power to graft them in again. See Romans 11:23 regarding this point. There will be a faithful remnant (the natural branches) that will be grafted back in. I want to summarize the point and say this: If you’re not premillennial and don’t believe Jesus will return to rule and reign for a literal 1,000 years and you don’t see Israel’s central roll in the end time events, especially from Revelation 6 through 20, Daniel Chapter 9, and other places in scripture, then your eschatology is unbiblical. You can’t explain away the literal pre-millennium return of Jesus and have sound doctrine as it pertains to Bible prophecy. You cannot have a skewed view of Israel and the Jewish people in regard to their place in God’s plan and have sound doctrine when it comes to Bible prophecy. The false narrative that is replacement theology is spreading like gangrene through evangelical circles. Moreover, some very prominent nationally recognized pastors and speakers are adherents to replacement theology. In their teaching, the replacements often spiritualize what God most certainly meant as promises for Israel. In their teaching, the replacements will often assert that Israel is no longer God’s chosen covenant people because of Jewish unbelief or national sin. Oftentimes the replacements will be asked questions such as, What about Israel? Should Christians support Israel? Is the Israel of today in God’s plan? The list goes on, but the general answer the replacements give is: This Israel (the one presently in the land) isn’t that Israel. They will tell people that Israel has forfeited it’s promises and God’s focus is exclusively on the church now. The latter is a half truth because although the church is the focal point during the time of the Gentiles, after the rapture God’s attention will turn squarely toward Israel. Please understand my point: I’m not calling into question the replacements salvation and not asserting they aren’t believers, because (some) of the replacements are fellow brethren in the faith. There are other replacements who certainly have heretical teachings and are promoters of false doctrine. and certainly aren’t our brothers & sisters in Christ. Here is the issue at hand: A growing number of the replacements choose to ignore end time Bible prophecy and that is where the danger of their version of eschatology meets the road. Not only do they misrepresent what the Bible has clearly said about Israel, the majority of them do very little to no teaching on end time prophecy. That’s because some of the replacements have labeled end time prophecy a diversion, divisive, a scare tactic, off message, etc. They seem to be asserting that when people focus on prophecy, the focus is taken off of Jesus, the gospel, and the task at hand. To them end time Bible prophecy is a distraction. Nothing could be further from the truth because when we get right down to the basics, end time prophecy is biblical! All scripture is God breathed, profitable, and in the Bible because He wanted it in there. How can the replacements take what are large sections of scripture such as Matthew 24, Daniel 9, 1 & 2 Thessalonians, and Revelation to name a few and verbally render them irrelevant? I believe the answer to the question at it’s root is spiritual pride. Some of the most prominent names in evangelical circles have sought to diminish the role of Israel by word or deed and have become mockers of the prophetic words written in the Bible they claim to know so well. Just because some of the replacements have the respect of the evangelical masses, have an ample selection of their writing in the local Christian bookstore, and are sought after speakers, doesn’t equivocate them with teaching biblically sound eschatology. Far from it. If they consider the nation of Israel unimportant, exempt from God’s plans, or negate end time prophecy altogether, they shouldn’t be Bible teachers, pastors, or evangelists. 2 Timothy 3:16 is clear, all scripture is God breathed. We weren’t called to cut and paste theology to suit our own taste. We are to teach the whole Bible and interpret scripture with scripture in it’s context. To discount Bible prophecy as a distraction or to insinuate that the church has replaced Israel is biblical ignorance and hermeneutical pride. Jesus is coming soon and the world is growing darker by the hour. Look at all of the events taking place geopolitically, economically, ethnically, and spiritually. Terror is escalating, there are wars and rumors of wars, the global economy is tenuous at best, and there is growing persecution of Christians in the Middle East, N. Africa, and we see growing hostility The other glaring series of events began with the modern re-birth of Israel against all odds in 1948. Since then they have regained their ancient capitol, they have been attacked on all sides by hostile enemies, and now they are the object of scorn from many groups including self identifying Christian groups. There has been a definite shift from traditional evangelical support for Israel to the point that now, a growing number of these people no longer see Israel as important or relevant. This line of thinking and theology becomes downright anti Christian and anti Jewish in it’s rhetoric as shown in movements such as Christ at the Checkpoint among others. The troubling part about the replacements and their warped eschatology is the fact that end time prophecy is one of the main ways the Lord reaches lost people. Many folks are walking through this life without hope and as the world gets darker and evil crescendos, they will seek answers. Thankfully we know the one who has what they are looking for. The Lord knows the end from the beginning. Look at all of the prophecies from messianic to historical events that have been fulfilled to the letter. We can rest assured that this same God will fulfill His promises both to Israel and the church as He has before. Evangelizing using Bible prophecy is an effective way to reach lost souls. This life isn’t the end because just beyond it lies eternity. Bible prophecy tells of coming wrath, judgement, heaven, and hell. Proclaiming the gospel via end time prophecy will drive some to godly sorrow that leads to repentance. Most importantly, Bible Prophecy points squarely to Jesus and His ultimate glory. Our ministry focus on prophecy isn’t for sensationalism, likes, site hits, or popularity. We focus on end time Bible prophecy because we want to see people come to repentance and put faith in Jesus as their Savior. I want to finish by boldly saying that God is not finished with Israel! Biblically speaking, some of her darkest and also brightest days are ahead. 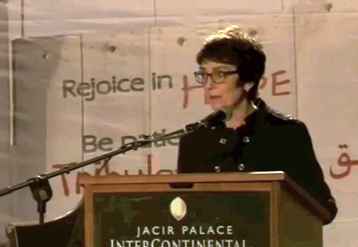 Christian support for Israel is vital and necessary. God loves his chosen people and it is our ministry position to reach as many Jewish people as possible for the kingdom. To the Jew first, to the gentiles, and that is our task. We are to proclaim the gospel to everyone. 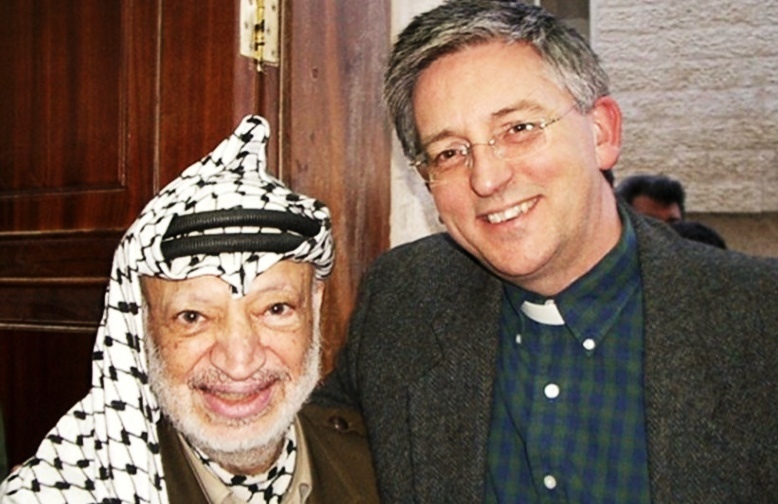 We long to see Jews and Gentiles (including Muslims) come to faith in Jesus. We have been in the last days since Pentecost. Now as these days head toward their climax and history begins to wind down, we can expect to see Israel become the geopolitical focal point. In the meantime, be a proponent of bold Bible teaching and sound healthy eschatology. Know that God has distinct plans for the church and Israel. Remember while many of the replacements are scoffing or negating the importance of end time Bible prophecy, we have an opportunity to use it to point lost souls to Jesus.